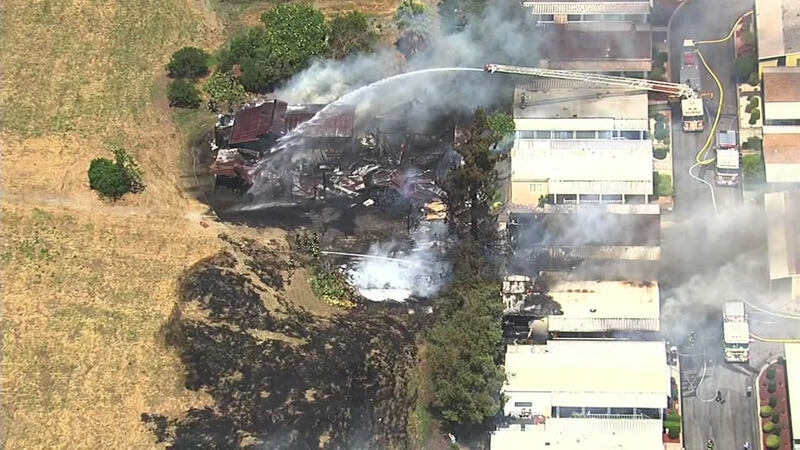 SAN JOSE, Calif. -- Firefighters are battling a three-alarm fire at a mobile home park in East San Jose that began Monday afternoon. Crews responded at 1:50 p.m. to multiple calls of a fire in the area of North Capitol Avenue and McKee Road, Fire Capt. Christopher Salcido said. Firefighters on scene found two mobile homes on fire, Salcido said. The blaze appeared to be knocked down shortly before 2:30 p.m., he said. Fire officials tell ABC7 News that no one was home at any of the homes were the fire is burning, and that there are no reports of injuries.